DETROIT -- A group representing General Motors’ salaried retirees has sharply criticized GM’s plan to replace their pensions with an annuity handled by an insurance company. The General Motors Retirees Association, in a June 13 letter addressed to GM CEO Dan Akerson and posted on the organization’s Web site, says it’s concerned that GM’s plan to shift the pension plan for white-collar retirees to Prudential Insurance Co. of America will eliminate federal insurance of their pension income. “It is a matter of depriving [retirees] of the financial security that they earned,” wrote the association’s president, Jim Shepherd. This month GM said it will spend $2.5 billion to $3.5 billion to buy a group annuity contract from Prudential to cover the pension payments of GM’s 118,000 salaried retirees and dependents. GM also said it would offer a lump-sum buyout option to 42,000 of those retirees. The GM Retirees Association says that all salaried retirees -- those who take the buyout and those who are shifted into the annuity -- would lose the coverage provided by the federal Pension Benefit Guaranty Corp.
“You are abandoning the hard-earned benefit of an ERISA-protected pension promised to thousands upon thousands of GM retirees in return for their commitment and loyalty,” Shepherd writes in the letter. A GM spokesman said the company received the letter and has called members of the association to discuss their concerns. He confirmed that Pension Benefit Guaranty Corp. will not back the pension plan once it is shifted to Prudential in January. The spokesman said there are other protections built into its contract with Prudential. The insurer is required to form a separate fund to hold the pension assets, which would not be subject to any future claims by Prudential creditors. And annuities generally have coverage through state guarantee funds. Those protections vary by state. The annuity deal is a core piece of GM’s strategy to reduce the risk of its massive pension obligation, which Akerson identified this week as one of the top risks the automaker faces, behind its sustained losses in Europe. GM said the buyout offer and the shift of its salaried pension plan to Prudential should cut its U.S. pension liability by about $26 billion, a major step in its bid to reduce the $134 billion in global pension obligation on its books. GM’s move to eliminate such a large pension liability by moving it to a group annuity contract is unprecedented, according to Pensions & Investments, a sister publication of Automotive News. Under the plan, those who retired before Oct. 1, 1997, as well as any of the 42,000 who decline the buyout offer, will have their benefits paid by Prudential starting in January. The amount of the monthly checks would remain the same. In April, Ford Motor Co. said it will offer 90,000 U.S. salaried retirees and former employees the option of receiving a lump-sum pension payout. It has not disclosed any plans to shift any of its pension plans into an outside group annuity. 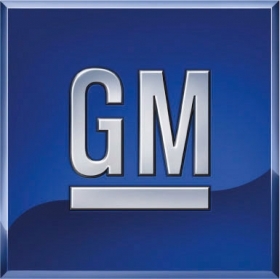 The GM Retirees Association letter was reported today by the Detroit Free Press.